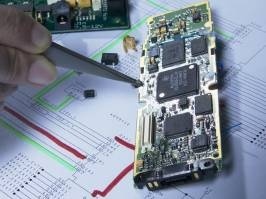 Through it’s network of technical consultants and field applications engineers (FAEs) JTAG Technologies has the experience and expertise to direct your test strategy in both the pre- and post- design stages. In instances where our customers require guidance on boundary-scan implementation within complex boards and systems JTAG Technologies can provide expert advice at the customer’s premises, or remotely using the latest web-based communications technology. Advising what is possible and introducing latest test techniques, for example using embedded IP or ‘processor emulation modes, is just part of our consultancy portfolio. General advice on test strategies and introducing trusted partners has helped many JTAG customers avoid test pitfalls and subsequent low production yields. Post-design our FAEs can provide fault coverage reports and, for resource-stretched companies, complete ‘turn-key’ boundary-scan production test and device programming packages. Regardless of the situation you’re facing, consider bringing in the test experts. Our technical team is second-to-none in its depth of understanding of the underlying boundary-scan standards and how to apply them to real world applications. We’re available to assist you in meeting your goals in product testing and in-system programming. There will be no surprises. Before we begin our work, we’ll work with you to define the scope of the project, and then you’ll receive a complete quotation for our services. Download our support services brochure or contact us to learn more about our consulting and development services, how we can boost your results and help you get the most from boundary-scan.